Lately, I've been inspired by the little white butterflies flitting around my garden. 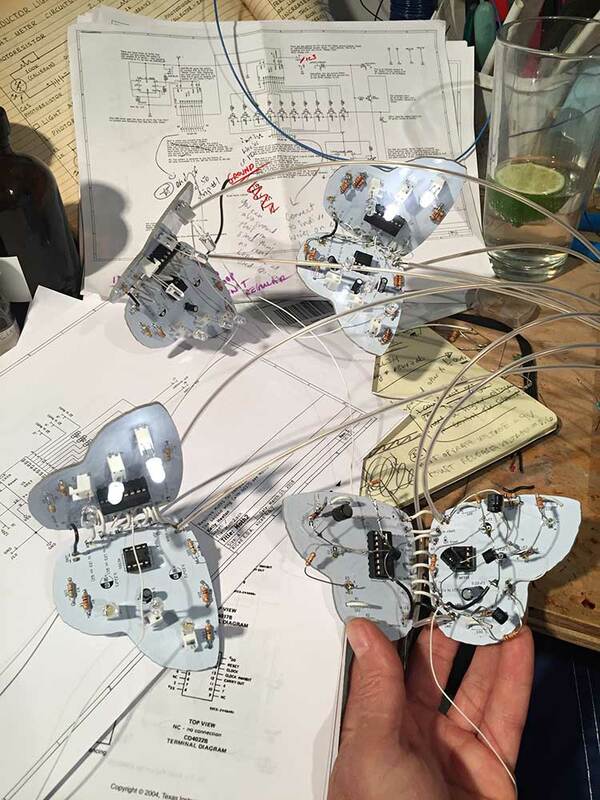 I used analog electronics and LEDs to animate their flutter patterns. My circuit contains one master 555 timer / 4017 counter that sequences three butterfly (or moth) circuits. The individuals also have 555 timer / 4017 counter circuits that flash their LEDs in rapid sequence. 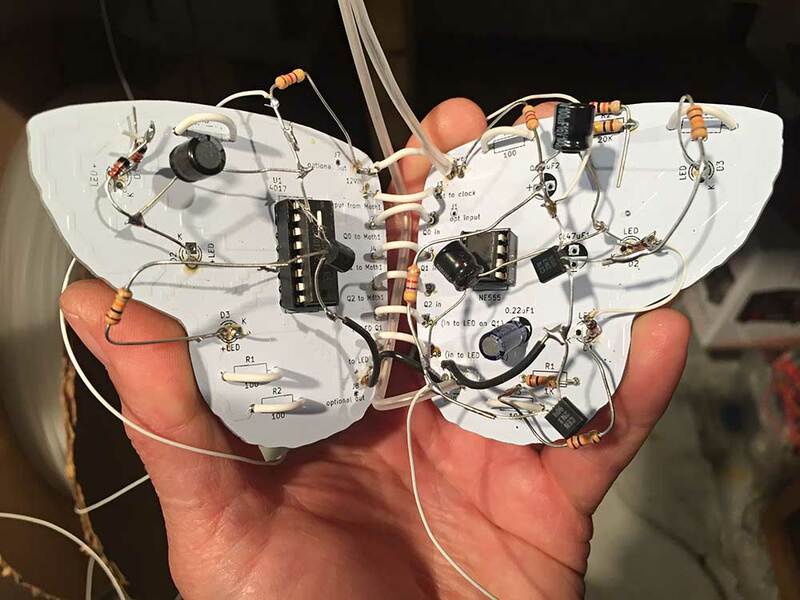 I used transistor inverters on the master circuit to convert the active high logic of the 4017 to active low; and I connected these signals to clock enable (pin 13) of the 4017s on each of the butterflies. That's what causes their blinking to pause periodically. The random appearance of the blinking is thanks to capacitive coupling between signal lines, and without this the "flutter" effect is pretty boring. In other words, nature contains both order and chaos, where the order is by design (who's design? I have no idea) and the chaos happens through simple, recursive relationships that get complex fast.